I’m about a 100 pages into The World is Flat by Thomas Friedman. I’m probably a latecomer, because it looks like everybody and their mother has read this book already. I’m impressed by Friedman’s positivity, his take on things, his effort to talk to leading industrialists or corporate gurus and relay their opinions instead of just shooting off his own mouth. But on the other hand, I’m a little uncomfortable about how he seems careful not to offend anyone, about the glibness of some arguments, the lack of hard evidence. I got back to work from vacation, and as usual my reading speed has diminished considerably. There’s something about relaxed reading of escapist fantasy books like The Simoquin Prophecies that is posturally incompatible with intense work. Oh, well. But my respect for Samit Basu has increased considerably. When I started reading the book, I commented that it didn’t pull me in as much as I’d hoped. I think that right at the beginning, Basu may have given off a slight “trying too hard” vibe. It may also be the fact that the book I read just before this one was Sea of Poppies, which might have increased expectations — an eating-a-sweet-just-before-tea kind of problem. But as I read on, I realized that Samit Basu, like Amitav Ghosh, is able to keep his book on an even keel. The fundamental nature of the story doesn’t change. It doesn’t sound enthusiastically written at places and listless at others. The humour stays up, and Basu comes up with hilarious gems at regular intervals. The situations in the book are often familiar, but usually engrossing. He keeps his prose interesting without sounding like a class 10 student trying to impress the examiner in the ICSE board exams. I just finished Sea of Poppies by Amitav Ghosh. I have to say: Wah, maestro! This was a real zabberdust book. It puckrows a chuckeroo’s interest and really doesn’t let go. The only complaint is I have to wait a long time for the next two books in the series! Heartily recommended to all Indian readers — non Indians too, but they might find it a bit more difficult to follow or identify with. So I just got done reading Anita Jain’s Marrying Anita. I’d heard about Marrying Anita at the Ultrabrown blog. It’s an interesting book about the author’s attempts to find the right guy to marry in both New York and Delhi. It’s been described as chick lit, and after reading it, I agree — its main subject matter is the heroine/author’s dating/romance sentiments. It’s just that this book is a lot more than just chick-lit. 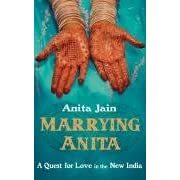 Anita Jain does something I find very interesting: she writes about trends, patterns in society that she observes. While I don’t think all of the social patterns she puts forth in her book are 100% representative or factual (not all Indians omit articles from their English), many of them are a good succinct precis of what seems to actually be happening. I’d go so far as to describe this book as a sort of romantic Maximum City Lite. It does talk mostly about the author’s emotional ride through New York and Delhi, but you actually learn a but about Delhi during the reading of it. The pressure on me to find a husband started very early. A few days after my 1st birthday, within months of my family’s arrival in the U.S., I fell out the window of a three-story building in Baltimore. My father recalls my mother’s greatest concern, after learning that I hadn’t been gravely injured: “What boy will marry her when he finds out?” she cried, begging my father to never mention my broken arm—from which I’ve enjoyed a full recovery—to prospective suitors out of fear my dowry would be prohibitively higher. Though you’d never guess it from this interview, the book is really 95% about Anita’s love life, not so much about the high-shock-value nitty-gritties of arranged marriage. To be fair to Jane Clayson, I get the feeling Anita herself provides these anecdotes as a publicity element to shock her American readers, who expect to hear precisely such things in connection with arranged marriage. They can conveniently gasp at the delicious backwardness of certain parts of the world, be reassured that their stereotypes about India hold good, and get on with life, safe in the notion that their worldview needs no adjusting. Anita’s dad’s hours spent on Shaadi.com are probably no different than what thousands of Americans do on Match.com, but if you throw in the words “Arranged Marriage”, it suddenly becomes shocking. Another surprise was in store when I read the comments on the interview webpage. There were a lot of listener complaints about her articulation or lack thereof. It’s true that Anita seems to punctuate every sentence with “Umms” and “Aahs”, but it didn’t annoy me nearly as much as it did some of the commenters. The predictable Harvard-envy type comments really bothered me though. You have all these people who would love to hate Harvard students simply because they went to Harvard, wait for any mistakes made by Harvard graduates, and then pounce. “What do the folks at Harvard teach their students,” one might hear them grouse, “Even my 5-th graders speak more articulately.” Harvard-bashing is pretty popular, even though Harvard is much more egalitarian these days. The book is a very courageous one. I’m surprised all of Anita’s various, um, acquaintances in Delhi acquiesced to have their names in it. They might have had their names changed. Either that, or this brave new India is more daring than I imagined. It must also have taken something out of Anita herself; the first question that sprang to my (admittedly parochial) Indian mind is how her parents reacted to her exploits. It’s interesting that she lays her own thoughts out so openly; I’m not sure most people could do that! So, I’m curious about two things: how did Anita’s parents react to the book? And how is her new love life after publication of her book? 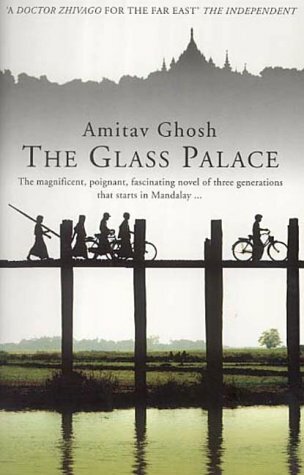 Amitav Ghosh is an interesting author. So far I’ve read only two of his books: The Hungry Tide and The Glass Palace. I really like The Hungry Tide, but The Glass Palace was a huge disappointment. I’m about to read the recently released Sea of Poppies, maybe I’ll post my impressions. Ghosh is supposed to be historically very authentic. Problem is, he’s also a master of insipid writing. He’s at the opposite end from Salman Rushdie or even Arundhati Ghosh. Prose in The Glass Palace is earnest, sincere, grammatically perfect — but not brilliant. The moments of brilliance in that book derive from the vivid detail, not from the prose itself. Somehow, he managed to make The Hungry Tide a great book in spite of this. Perhaps it was the subject: the dark, dank, dangerous Sunderbans. The Glass Palace is unsatisfying, though. Ok, his ideas may have been good, but it really doesn’t feel like a finished product. While it starts very well, I got the impression Ghosh got tired of the book midway and just wrapped it up somehow. Parts of the book spend several pages on the description of events in a single day or hour. Other parts skip several decades in a paragraph. Parts are intensely detailed, other parts are totally textureless. Entire subplots are introduced and then fizzle out without any consequences in the book. I mean, who cares about an intimately detailed illicit encounter one of the female characters has if she hardly plays a role in the rest of the book? The book isn’t really meant to have a plot, it’s just a succession of events in the lives of some families. But it just didn’t work for me. Having said that, it wasn’t a total loss either. I did get a good deal of interesting historical detail from it, and I think I understand conditions in those days better than I did before I read the book. It also has some interesting studies into the British army in India. Overall, I think it’s worth reading just for the historical perspective. Hopefully Sea of Poppies will be a more coherent read. There is a pattern among Indian authors writing novels in English. The novel usually concerns the developments surrounding an ordinary event, something that happens a million times every day everywhere in the world. The character development is intense and multi-layered. The book will have several interesting characters, all somehow connected to the immediate events. The timeline, driven by the character development, is chaotic, jumping smoothly back and forth between the immediate events and the past. There are stories within stories within stories: a broad flow, the stories and substories of each of the characters, leading to a narrative frequency spectrum, or a raconteur’s fractal. The entire spectrum of emotions is on offer. The plot and the ending appear less important than the sensory immersion. Above all is a saturating, distinct Indianness. If the author is successful, all of these combine into a smooth tapestry, where the reader can absorb all the elements without confusion. Amitav Ghosh, Manil Suri and Anita Rau Badami are authors of this style I’ve read who have managed to pull this off. Anita Rau’s The Hero’s Walk is a book in this mould. It starts off with a catastrophic event and its consequences, meandering through the lives of a collection of folk in a sleepy town somewhere near Chennai. The central character is Sripathi, a disgruntled, disillusioned, aging man who feels his lack of success keenly. The story is about how he, his family and the people surrounding him deal with tragedies, common and individual, and how they get on with life after. 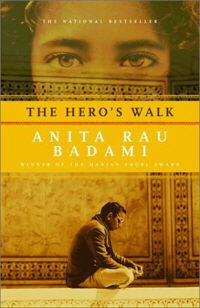 Anita Rau takes a more Indian approach to the dialogue than many other Indian authors. Her book abounds in such Indian-isms as “quick-quick” and the emphatic “only”. Anita Rau manages to capture the milieu, both emotional and physical, in the little town. In particular, her treatment of caste hierarchies in India is more balanced than Arundhati Roy’s in The God of Small Things, accurately capturing the “generation component” of caste-related sentiments. Unlike in Roy’s work, the emotions and reactions of Anita Rau’s characters are believable and seem accurate. The downsides, if they can be called that, to the novel are the subdued and often unhappy storyline and the open ending, a staple of Indian authors. Richard Morgan is perhaps one of the most talented “wordsmiths” among the writers I’ve read so far. His prose, as one reviewer puts it, positively crackles with brilliant metaphor and evocative word-coinage. His world is rich and developed, though Morgan is so inventive that at times I wondered whether he didn’t simply make it up as he went along. Every line bristles with intelligence and invention. This is Morgan’s first book, and his self-assured writing is suprising and refreshing (compare Michael Jordan’s first attempt in the Wheel of Time series). Morgan endows each character with a unique personality, carefully developed and detailed. The book is essentially Alistair MacLean-style “tough guy” action (referred to in several Amazon reviews as “hardboiled detective fiction”) mixed with cyberpunk. More or less, the book’s style is to deliver periodic “kicks” to the reader. Takeshi Kovacs, the protagonist, is a lean, mean, mentally conditioned killing machine… but a good one. In identifying with Kovacs, the reader is invited to feel like a restrained god who always gives the bad guys a chance to mend ways before beating them into bloody pulp. The reader spends several pages building up hatred for specific bad guys, then revels in the mindless violence the protagonist does to them next. Spends some time feeling sorry for people, then warm and fuzzy as Kovacs does something truly philanthropic. All in all, the book is violent and callous enough to be every male’s testosterone fix. Altered Carbon’s world needs to be taken as a given, and once that is accepted, the novel is fairly believable and logical. The world itself seems inconsistent. Superficially, it seems like a realistic world, but practically the only real advance in 500 years, in the novel’s world, is the ability to digitize human beings and improvements in AI. (This is not a new concept at all; Greg Egan, Charles Stross and others have been doing it for a while.) Other than that, life is almost the same as it is now except for cosmetic changes like cars traveling in the air instead of on the ground. Nevertheless, this is a great book. Just the complexity of metaphor and brilliance of word-coinage makes the book worth it. And unlike many in the current crop of Sci-Fi writers, Morgan has good ideas, good prose and knows how to tell a story. That last bit seems missing in Sci-Fi of late.